Computer-aided diagnosis (CAD) systems are useful for assisting radiologists with clinical diagnoses by classifying focal liver lesions (FLLs) based on multi-phase computed tomography (CT) images. Although many studies have conducted in the field, there still remain two challenges. First, the temporal enhancement pattern is hard to represent effectively. Second, the local and global information of lesions both are necessary for this task. 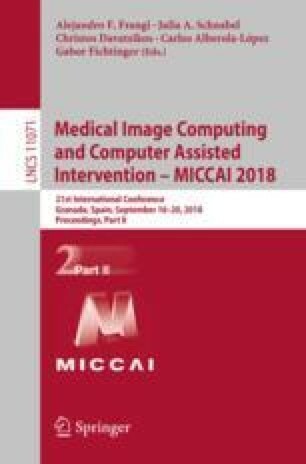 In this paper, we proposed a framework based on deep learning, called ResGL-BDLSTM, which combines a residual deep neural network (ResNet) with global and local pathways (ResGL Net) with a bi-directional long short-term memory (BD-LSTM) model for the task of focal liver lesions classification in multi-phase CT images. In addition, we proposed a novel loss function to train the proposed framework. The loss function is composed of an inter-loss and intra-loss, which can improve the robustness of the framework. The proposed framework outperforms state-of-the-art approaches by achieving a 90.93% mean accuracy. This work was supported in part by the National Key R&D Program of China under the Grant No. 2017YFB0309800, in part by the Key Science and Technology Innovation Support Program of Hangzhou under the Grant No. 20172011A038, and in part by the Grant-in Aid for Scientific Research from the Japanese Ministry for Education, Science, Culture and Sports (MEXT) under the Grant No. 18H03267 and No. 17H00754.